The Bureau of Reclamation has released the Final Environmental and Biological Assessment (EA) and signed the Finding of No Significant Impact (FONSI) for the Platte River Recovery Implementation Program, Proposed First Increment Extension. 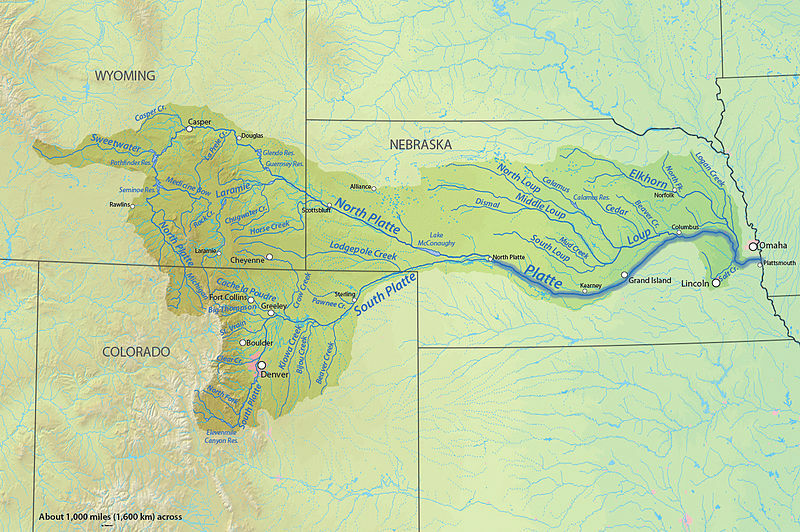 Reclamation, working with the states of Wyoming, Colorado, and Nebraska, water users, and environmental and conservation organizations, proposes to extend the First Increment of the basin-wide, cooperative Recovery Implementation Program by 13 years. Reclamation participates in the Program to meet its obligations under the Endangered Species Act. The final EA and FONSI evaluates and discloses the potential impacts of the proposed 13 year extension of the Program’s First Increment. The final EA and FONSI does not represent the final decision of the Secretary of the Interior, in cooperation with the Governors of the states of Colorado, Nebraska, and Wyoming, to extend the Program. The final EA and FONSI informs the Secretary that the potential impacts of the proposed extension do not warrant the preparation of an Environmental Impact Statement. The formal decision by the Secretary regarding whether or not to extend the Program in cooperation with the Governors will occur at a later date. The final EA and FONSI are available for viewing at http://www.usbr.gov/gp/nepa/platte_river/index.html. For additional information or to receive a printed copy of the EA or Draft FONSI, please contact Brock Merrill at 307-532-1093 or bemerrill@usbr.gov.